Your front door – whether it’s a refurbished original or a custom-designed piece – is an often-overlooked gem that deserves a lot of love. After all, the entryway to your home can make or break a first impression. Why stick to styles that everyone else is doing when you can let your personality pop right from the start? 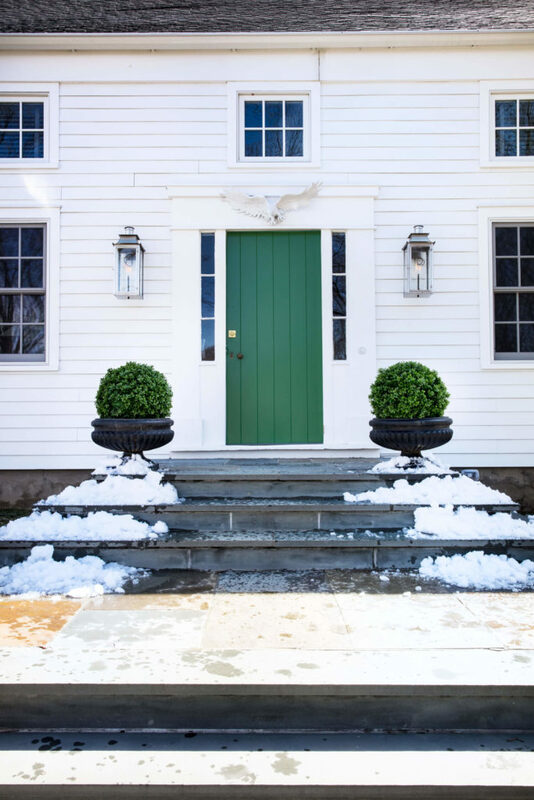 We’re always on board for making a statement with a bold front door, so we’ve pulled together a guide for choosing your perfect color match to make your exterior transformation as simple as can be. Follow these steps and you’ll be the toast of the neighborhood in no time. What is your ideal scenario for your home style? If you’re generally more of a neutral lover, then a bold color for you might be a bit subtler (think shades of charcoal or deep navy). On the other hand, if you adore a different wallpaper pattern in every room and are drawn to pops of color throughout your space, then your front door should reflect that – go all out with a bright chartreuse or a shade of rose. The bottom line is that you should stick to what you know and love – your front door should reflect you. Is your home a historic colonial? A brand new, modern building? A Victorian-era showstopper? Whatever structure you have, it’s critical that you consider its design features before you choose your color. While you may love a wild and whimsical shade of aqua, it might not be the right fit for your home’s architectural elements. Consider the neighborhood aesthetics, the climate of your home’s location, and the overall look you’re going for – ultimately, you want your front door color to be a statement piece, but still complement the surrounding exterior elements. Once you have your exterior color palette in place, the next step is to make sure that your front door also complements the entryway directly inside. It might seem unnecessary, but remember that half the time, your guests will be seeing that door ajar, and making a seamless transition from exterior to interior will make all the difference. 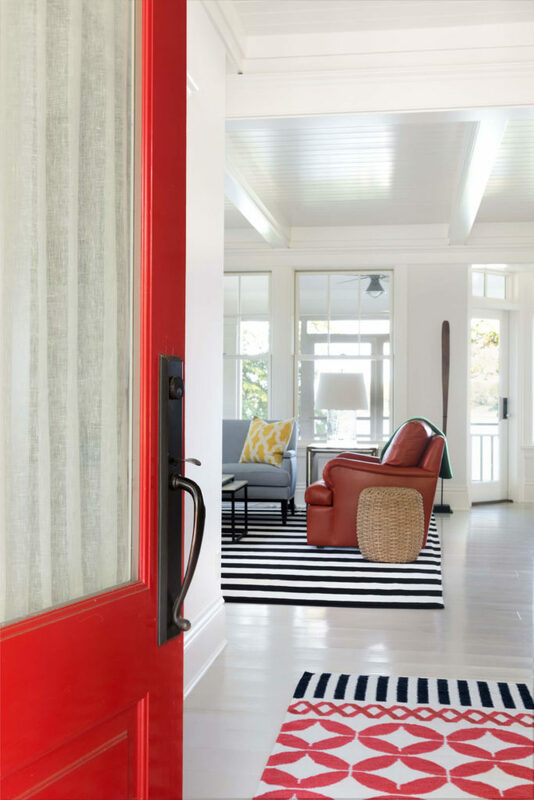 Even something as simple as incorporating the door color into an entryway rug pattern or including a piece of art that complements the color can help to bring the two distinct spaces together as one. Now that you’ve got your general color selected, and it’s time to narrow down the exact shade. It’s especially important to do this when painting a front door because colors will look vastly different in the lighting of a store and in direct or indirect sunlight. The best way to accomplish this is to choose a handful of similar shades and paint each one on a different wooden board. Position them near your front door and compare them at different points during the day. One might feel too overpowering in the sunlight, while another could feel too muted – especially if your front entryway is in shadow for the majority of the day. By actually seeing the colors in person, you’re much more likely to be pleased with the finished result and love your door for years to come. Color can go a long way towards transforming our homes, bringing out the aspects of our living style that make us feel most comfortable and welcome – both inside and outside. 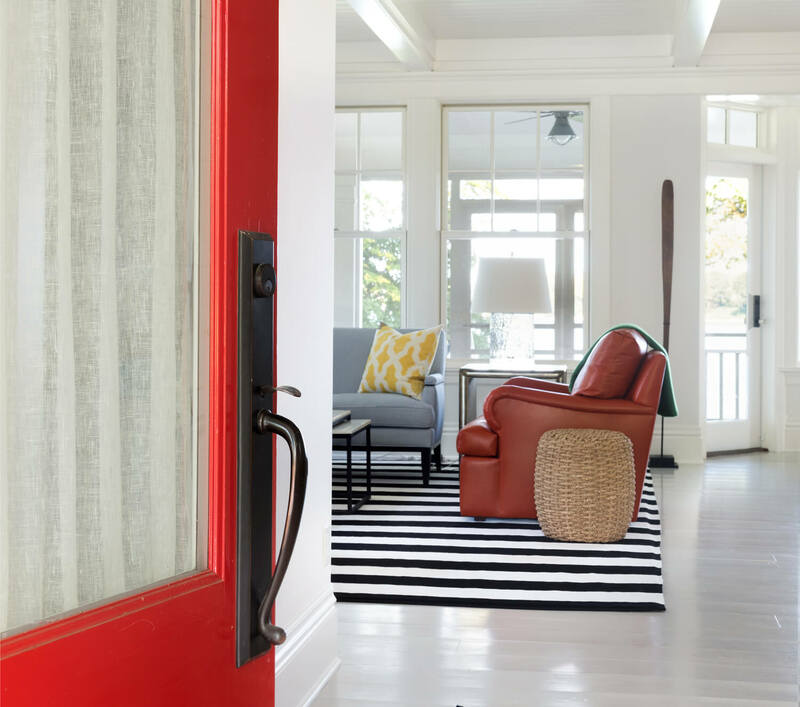 If you’re longing to make an impression, look no further than a bold front door – we guarantee it’ll make you fall in love with your home all over again every time you step inside. By Megan Johansson, Contributor to Andrew Flesher Interiors.